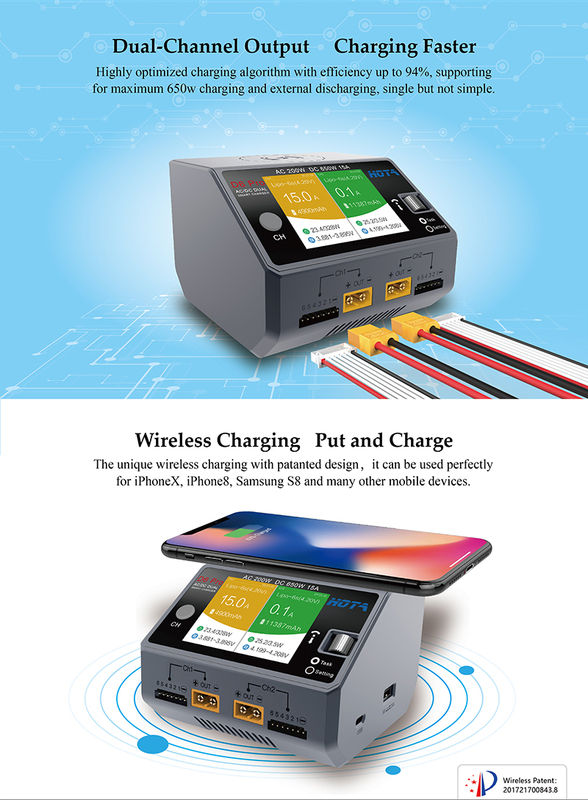 HOTA D6 Pro Smart Charger AC200W DC650W 15A for Lipo LiIon NiMH Battery with Phone Wireless Charging. - Highly optimized charging algorithm with efficiency up to 94%, supporting for max. 650W charging and external discharging, single but not simple. - The unique wireless charging with patented design, it can be used perfectly for iPhoneX, iPhone8, Samsung S8 and many other mobile devices. - Built-in Micro USB connector for a much more easier and faster firmware upgrade. 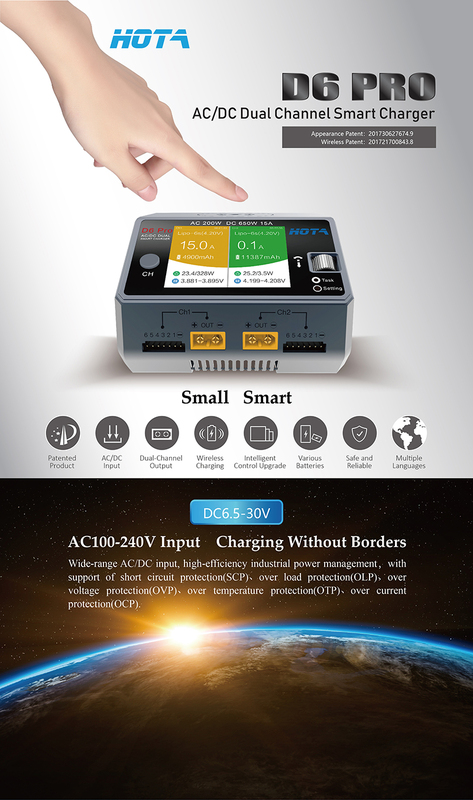 - The most advanced circuit design and charging algorithm ensures a much more reliable charging and discharging no matter at overvoltage, overcurrent, overtemperature, short circuit and other anomalies. All-in-one protection, inc. overheating protection, time-exceeding protection, capacity protection, input reverse protection, output protection, short circuit protection, output current protection, over output voltage protection, overcharge protection.